The first time I laid my eyes on a Chic Sparrow travelers notebook while scrolling through Instagram, I screamed. Oh. My. Gosh. 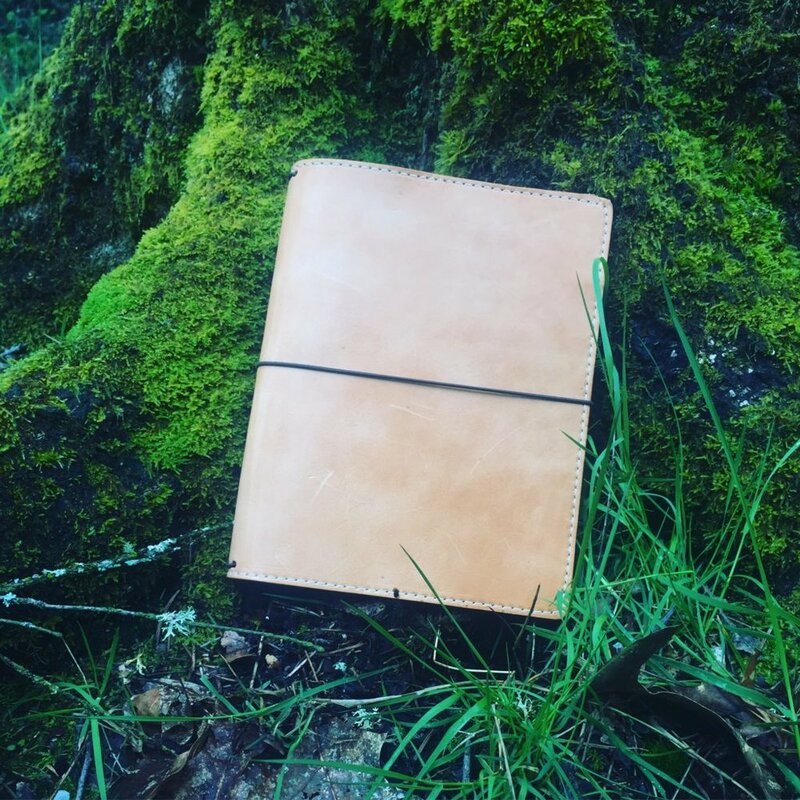 It was the gorgeous, quality, worn, classic but sturdy notebook you dream of carrying on your far and away adventures to New Zealand. Picture Bilbo Baggins scrawling notes of his journey. Picture a secretary whose also a mom and wife, using whimsical inserts and stickers to piece together her busy but full life. Picture a researcher, trekking through the mountains of Scotland, scribbling notes of his finds. Picture a business owner on a sunny beach in California, relaxing but writing away notes and ideas. That’s the beauty of these notebooks. They’re versatile, flexible, yet the type of quality that is going to show the wear and tear of life in years to come, all the while still looking gorgeous and cozy. I finally took the leap and ordered a Mr.Darcy Buttered Rum A5 travelers notebook. (Yeah, Mr.Darcy as in Pride and Prejudice! Doesn’t that just scream comfy with the name alone?) I had stalled for literally years, because I didn’t feel like I was an “advanced” enough planner to comfortably use and decorate inserts (which is a total lie). When I opened up the box, I kicked myself for not getting one so much sooner. It even smelled good! The beautiful thing about these notebooks is that they’re each handmade, right here in the USA. They make it very clear on their website that no two notebooks are alike. While they’re similar in the basic pieces, each notebook contains variations of textures and colors. In other words, each notebook is different and ready to tell a story as it rides along the journey of life with you. These notebooks are foldable and flexible, yet sturdy enough to hold a pen (yep, a leather pen loop is attached on the inside) and the elastic firm enough to grip your inserts in place, without worrying about them falling out. Travelers notebooks are a great option if you have many pieces of your life that you want to keep all in one place. Think of it as a “headquarters” or “dashboard” for your life. With the four elastic straps inside, you can have several inserts and still be able to easily find whatever you need at a moments glance. Chic Sparrow also sells inserts too. Not to mention, so many lovely Etsy shops sell inserts that are readily made or that you can download and print at home to track your budget, to do list, calendar, cleaning, movies to watch, gift giving for Christmas time, and the list goes on. CORRECTION: In the video I mention that the leather is Pantina. While the leather itself does Patina with time, the leather type is considered Vegetable Tanned. So, what do you think? Do you think you’ll take this piece of magic with you, as you journey through life? I know I certainly will. And I can’t WAIT to see what kind of tales this piece of craftsmanship will be able to tell with me years down the road.